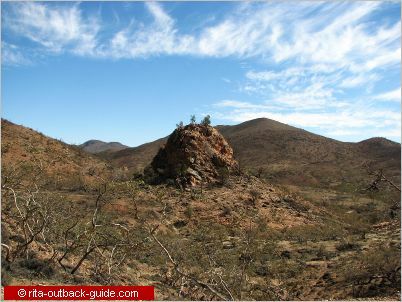 With these photos I want to give you an impression how beautiful this ancient land, protected as Arkaroola Wilderness Sanctuary, is. The comfortable resort offers various accommodation facilities for all budgets. 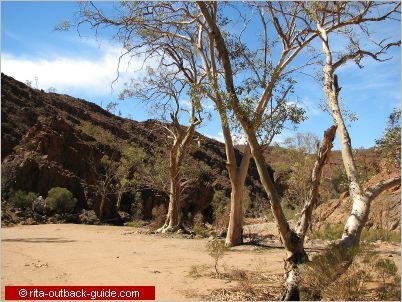 4WD tracks to places of magic beauty, walking trails, wildlife and stunning nature make Arkaroola a great holiday destination for the entire family. If you ever get the chance to visit the Flinders Ranges, make sure to have a couple of days to spend here. I know I enjoyed my stay here tremendously. 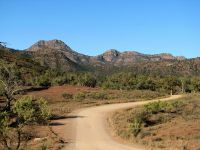 Like all other parts of the Flinders Ranges, Arkaroola inspires interest for people from different walks of life: geologists, astronomers, nature-lovers, hikers, photographers, 4WD enthusiasts. The photos are from my visit in November 2008. It was at the end of a long dry spell. 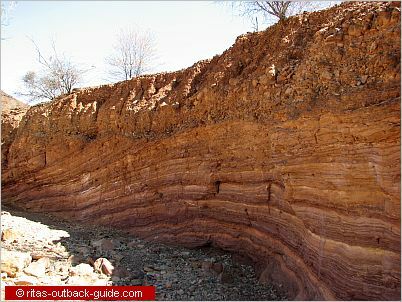 The landscapes and vegetation was really dry, no flowing creeks and rarely water in the various waterholes in the area. 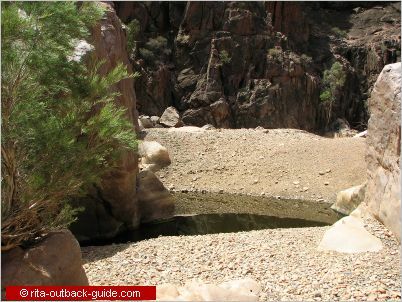 Only a few weeks later Arkaroola received the first decent summer rain. It was the start of a La Nina climate period that should last for three years. Guided walking & driving tours are available ath the sanctuary. 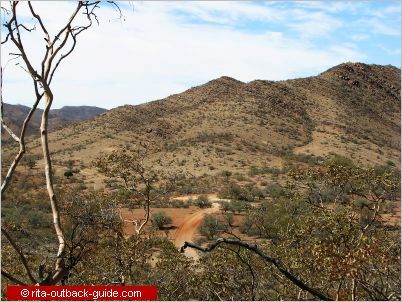 For those who want to discover Arkaroola on their own there are over 100km of tracks waiting. 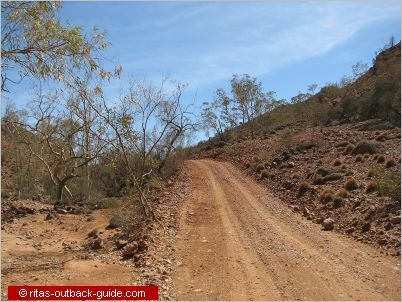 Some of the graded roads are suitable for 2WD while others are more challenging and require a 4WD. Maps and booklets for driving tours are available from the reception. We stayed three nights at Arkaroola and did a lovely self-driving tour each day. 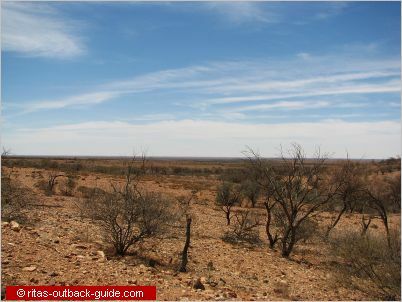 Let me show you around one of my favourite places in the Australian Outback. 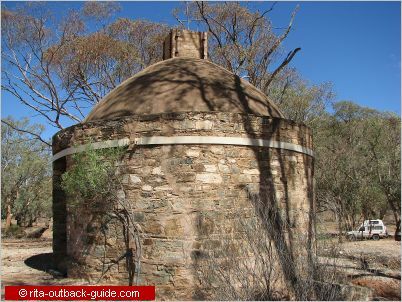 After we climbed up to the Dodwell Observatory for an overview of the village, we drove westwards to Nooldoonooldoona Waterhole and the Wheal Turner mining area. 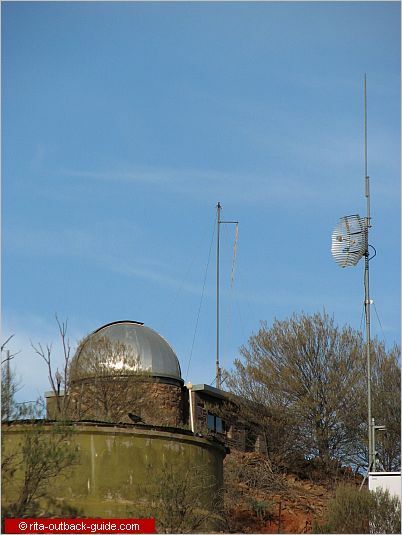 Dodwell Observatory was the first of Arkaroola's three observatories. It was built in 1986, named after George Frederick Dodwell, an South Australian Governement astronomer. Being so remote, Arkaroola has the best astronomical seeing conditions, it is free of light pollution. The Dodwell Observatory is just above the village. It is worth to climb the small hill and enjoy a great view over the resort. Erosion has exposed the granite core of needles and pinnacles in the Mawson valley. The valley is named after Sir Douglas Mawson, Australia's famous Antarctic explorer and geologist. 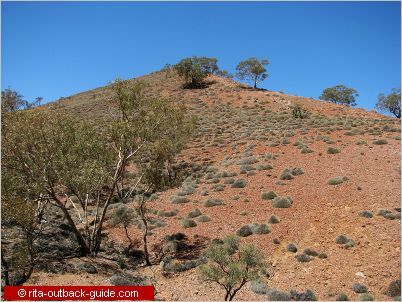 He also spent a lot of time researching the geology of the Flinders Ranges. Reg Sprigg was a student of Mawson, he discovered fossils about 600 million years old in the Flinders. The copper smelter at Bolla Bollana was not long in use. It is doubted if the kiln was ever fired. Hills around the old Wheal Turner Mine are covered with spinifex, or porcupine grass. The latter name describes the good-looking grass hummocks best. 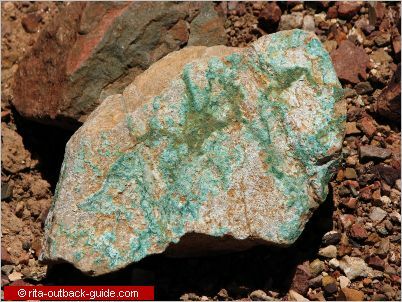 You'll find many stones with the bright green copper outcrops in the Arkaroola area. Yet, most deposits proved to be small. 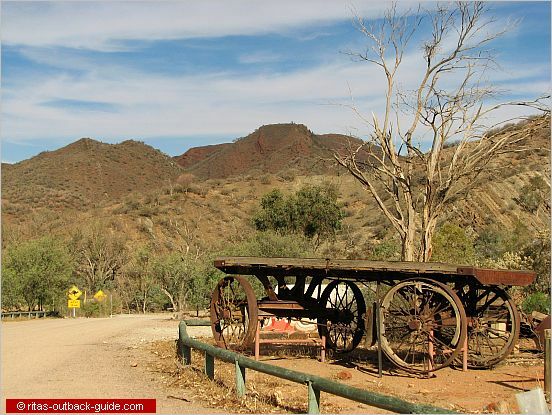 Apart from Blinman and Sliding Rock, mines didn't make much profit in the northern Flinders Ranges. 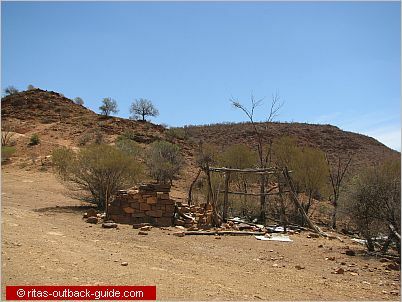 Nooldoonooldoona (Nuldanuldanha) waterhole is about 11 km from Arkaroola. According to the dreaming stories, Akurra, the powerful serpent of the dreamtime, created the waterhole. Some Aborigines rolled large stones down the hill to kill him. You'll see the stones in the creekbed. When you walk the few metres to the waterhole, you'll notice that the stony ground is glittering. These stones must contain minerals, quartzite or something. It looks really beautiful. Todays's tour took us to the Paralana Hot Springs, with several stops at all kind of attractions along the way. Ochre is a fine powder used by Aborigines in ceremonies. Remains of a gold prospector's camp. Stubbs waterhole is in a beautiful setting, surrounded by steep red hills. Unfortunately, there was no water when we visited in November 2008. 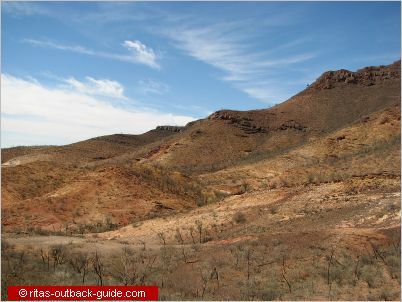 However, this has certainly changed as Arkaroola received some rain during the summers 2008/2009/2010. 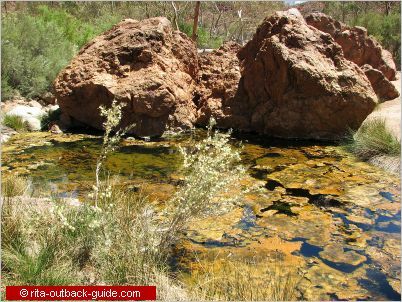 A 32 km track leads along the eastern boundary of Arkaroola sanctuary to Paralana Hot Springs. Do a short walk from the car park, and arrive at the most beautiful setting. The springs have created a small wetland area, totally different from the arid environment of the region. The spring is believed to be the last remnant of volcanic geyser activity in Australia. Be careful. The water comes out nearly boiling hot (~83°C), and it contains radioactive radon. Even the rocks in this area release bubbles of hot water. 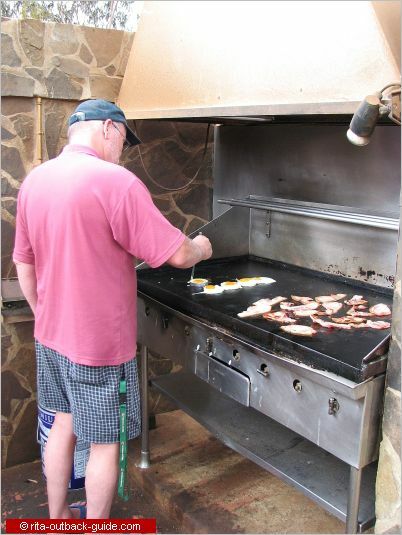 On our last morning at Arkaroola, our mate Colin cooked us a beautiful breakfast. We enjoyed our last meal in this wonderful spot next to the pool.